Leicau2019s recently unveiled D-Lux 5 Titanium contains no titanium, though it is titanium-coloured, the firm has confirmed to Amateur Photographer. Leica?s recently unveiled D-Lux 5 Titanium contains no titanium, though it is titanium-coloured, the firm has confirmed to Amateur Photographer. 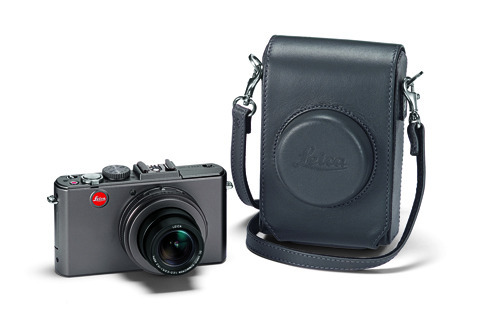 The ?Leica D-Lux 5 Titanium Special Edition?, priced £855, was announced on 18 October. It is being marketed as a ?versatile digital compact camera in titanium styling?, yet it is housed in an ?anodised-aluminium? body, a Leica representative said today. Asked to elaborate, the spokesperson said: ?The D-Lux 5 Titanium is not made of titanium (the M9 was, however)? It has an anodised finish, making it more scratch-resistant and robust than the standard D-Lux 5 and the titanium refers to the colour rather than the material. ‘It?s similar to the D-Lux 4 Titanium that came out a few years ago.? The Titanium D-Lux 5 kit includes a ?premium grey? leather case. The standard D-Lux 5 costs £644 (a leather case costs an extra £92).